This will allow any action in the controller to be viewed as JSON or XML . Router::extensions(['json', 'xml']); //ensure this is before the below line. these two websites will help you out. The newest version of Cakephp makes it even easier to make a JSON or XML request. 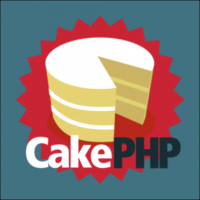 This is a great tutorial about how to create a REST Service with CakePHP.